Hello, lovelies~ Do you like ice cream? 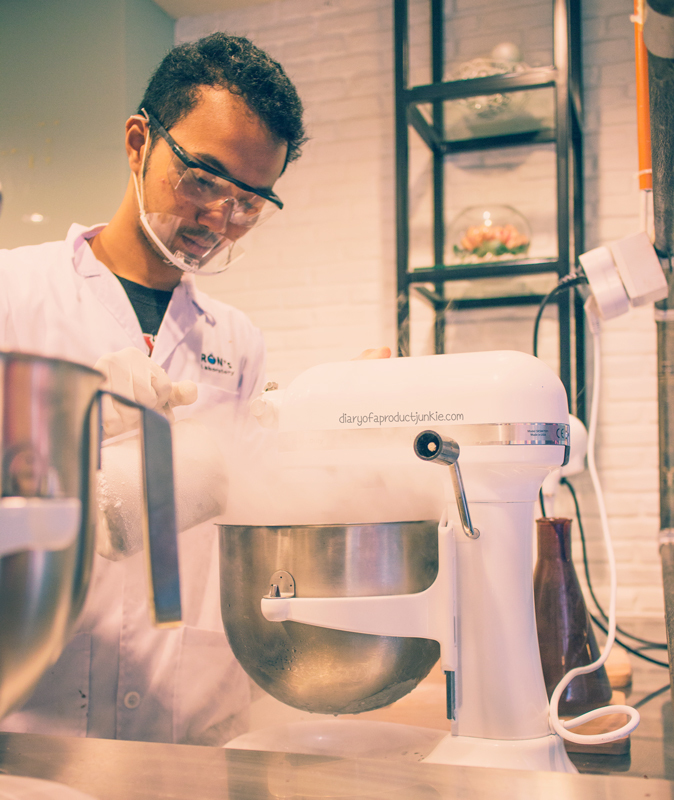 How about gelato made with liquid nitrogen? 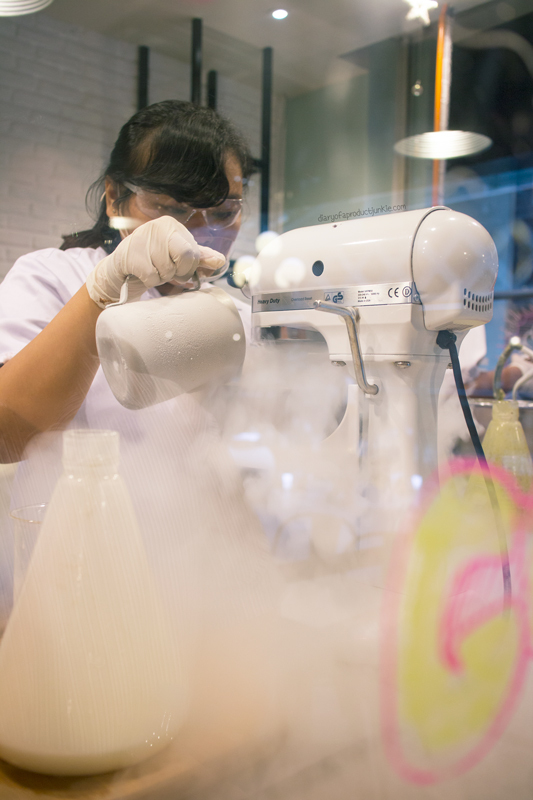 Ice cream with liquid nitrogen may very well be one of the first ice cream store concept in Jakarta that can be found on the 5th floor of Grand Indonesia shopping mall. 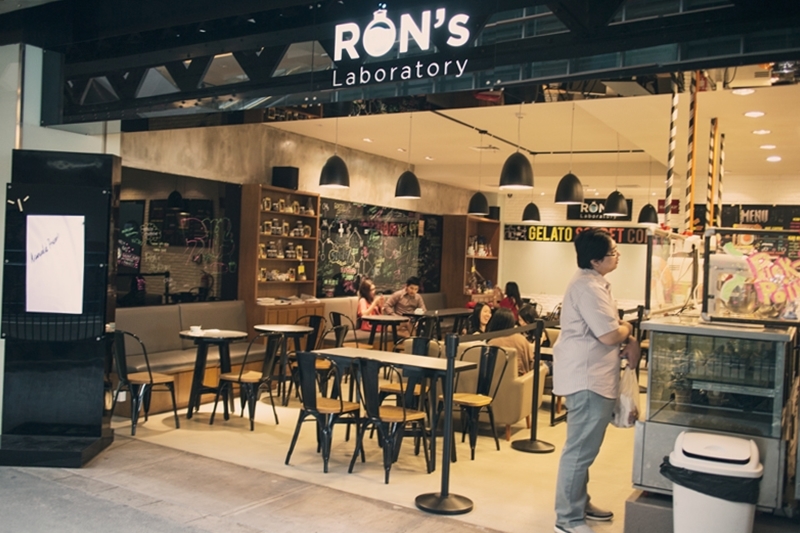 Ron's Laboratory is anything but your average ice cream store since they serve make their ice cream right after your order. I had a chance to go there yesterday with Mr. G after attending to some business near that area. 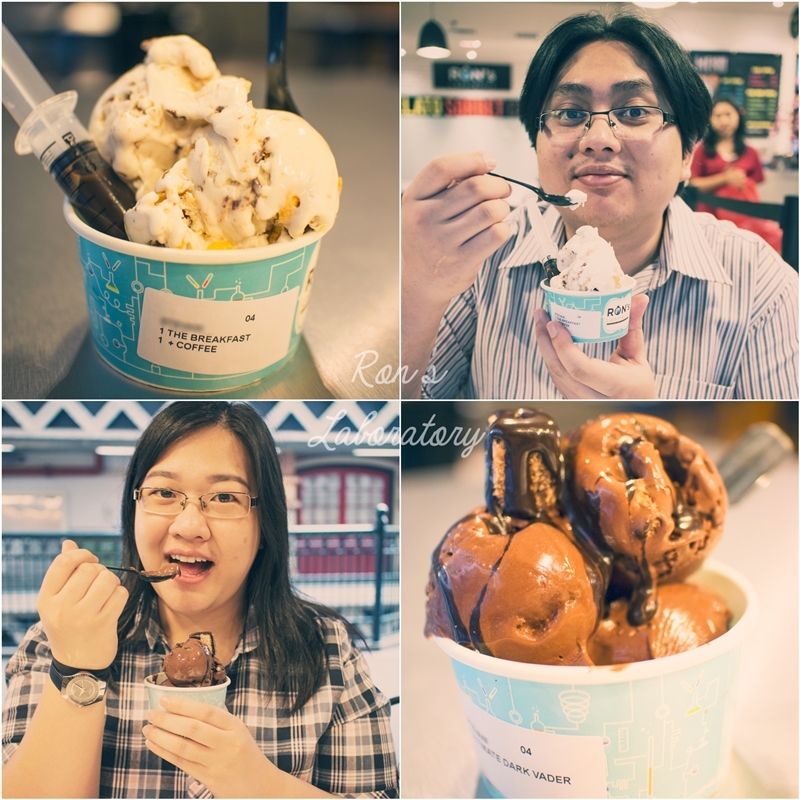 We weren't exactly craving for ice cream, but while we're in the area, we thought it'd be a good idea to try it out. It isn't like your regular gelato store where they lay out their gelato to scoop from. They make it in the mixers that are designated to the flavor of your choosing. 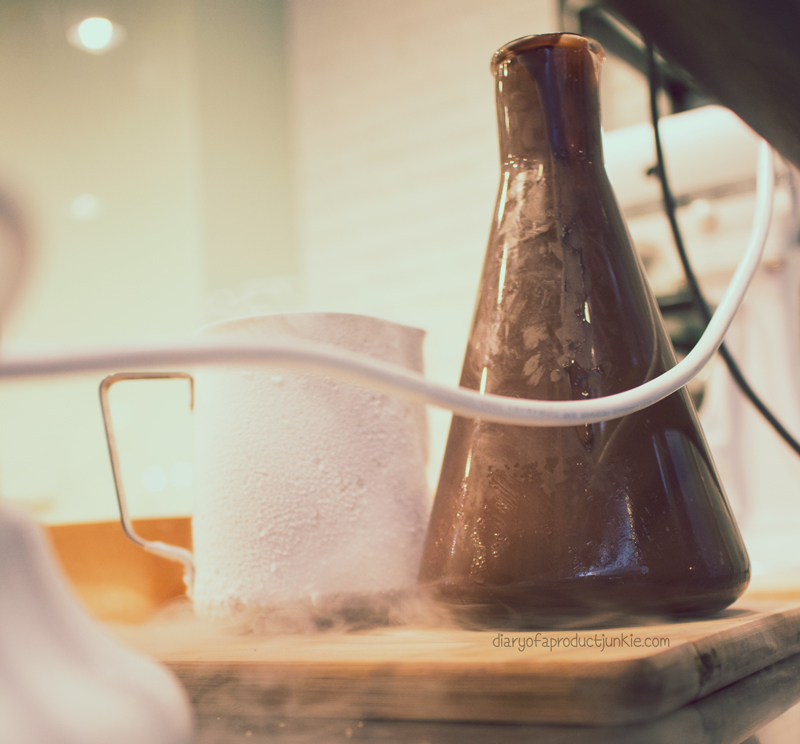 To store the cream and chocolate temporarily before mixing it together, they use an Erlenmeyer glass bottle that is usually seen in a chemistry laboratory. They really went all out to stick to the theme, huh? There is a mixer for each gelato flavor, so the flavors will not accidentaly coincide with one another, ruining the gelato. Gotta love that idea because I hate it when I order chocolate ice cream and there are bits of strawberry flavor in the scoop that I can taste the strawberry. Ugh. I forgot to snap a picture of the menu, but they didn't have a lot to choose from. I think there are five or six gelato flavors. 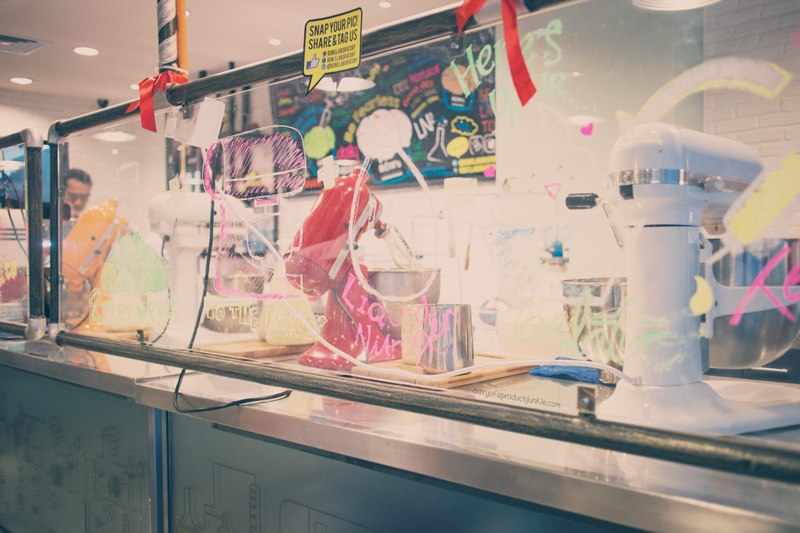 If it's your first time here, make sure to see how they make the gelato because it's fun, especially the part when they pour the liquid nitrogen into the mixer. With chocolate being my favorite flavor (and weakness! 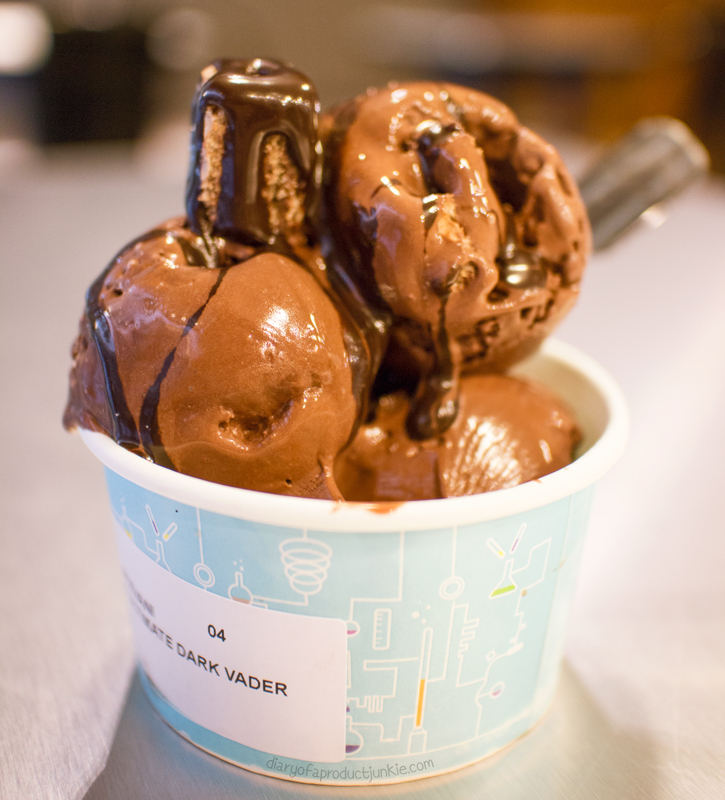 ), I went for the Ultimate Dark Vader, a dark chocolate gelato with bits of chocolate cookies and wafers, topped with strips of chocolate sauce. The ice cream has a creamy texture and melts easily, so I have to snap the pics real quick. 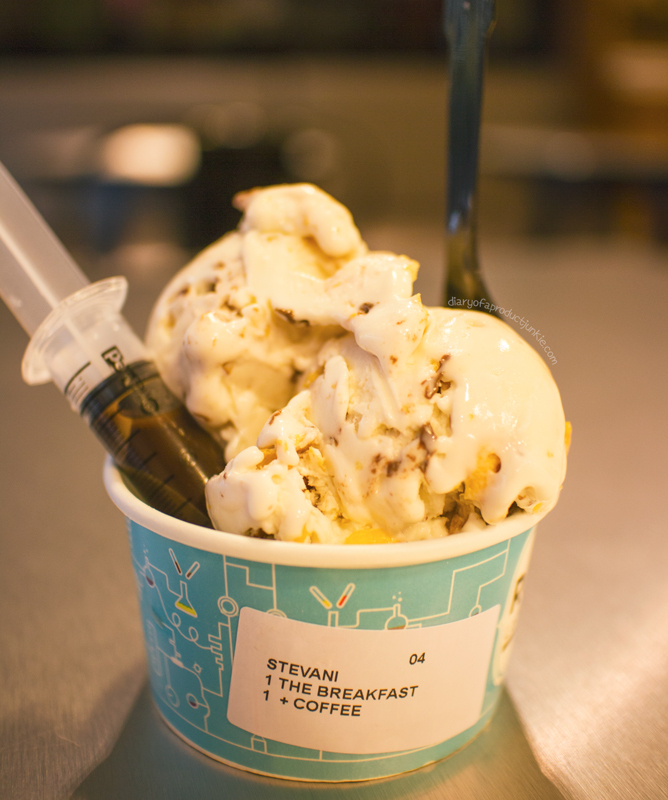 Mr. G chose The Breakfast with a coffee injection to make it even more of a breakfast feel. The gelato is a plain one, but has a Nutella swirl and topped with corn flakes. A nice combination of sweet and bitterness, too. All of the necessities of a breakfast, wouldn't you say? Overall, I can taste the freshness of the gelato and there isn't any nasty ice crystals. 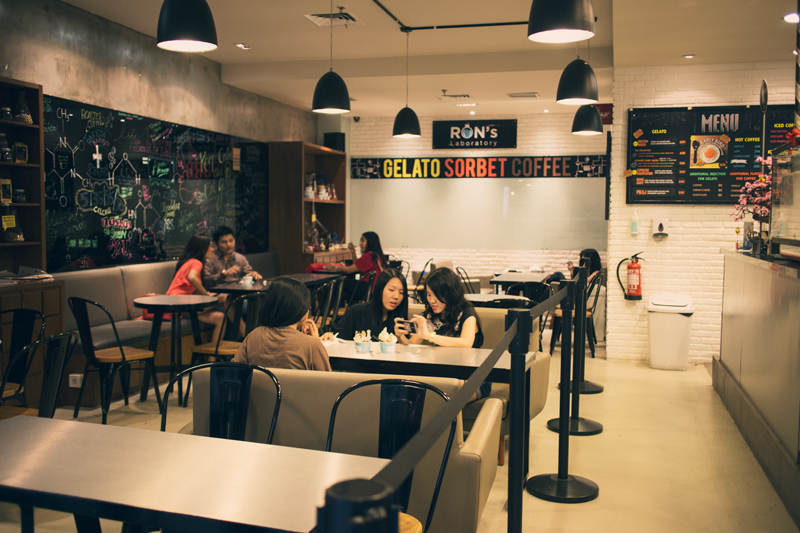 There is an equal amount of crunch and smoothness in both gelato, so it's not boring to eat, texture-wise. However, I don't really feel that it is scrumptious or a to-die-for gelato, in terms of flavor. Maybe it's not my cuppa tea, but I feel it's too sweet. It would be great to add tangy flavours like lemon, blueberries and the like, probably? Phanie uses ice cream! It's super effective! Suntikannya kreatif banget.. Bener2 niat deh konsepnya. :) Tapi di Surabaya banyak kafe2 yang kayanya enak, adem, dan cozy~ *taunya dari Inijie, food blogger Surabaya*..